“Empowering the Filipino through Digital Transformation”. That is the theme of this year’s National Information and Communications Technology (ICT) Summit held in Davao City. The summit is the culminating event of a month long celebration of ICT in the Philippines. Since 2008, June of every year has been celebrated as ICT Month by virtue of Proclamation No. 1521, series of 2008. This is in recognition of the power of ICT as a strategic tool in governance, in delivering government services, and in driving economic growth. The National ICT Summit was well attended, with over 500 government executives, ICT managers and practitioners, local government officials, academics, the private sector, students, and ICT industry players participating in the event. In today’s digital world, it’s clear how huge ICT’s role is in the development of government services. Throughout the entire month of June, the DICT showcased projects that harnessed ICT to improve the efficiency of government processes that positively impact the Filipino public. From seminars, conferences, fora, focus group discussions, to technical trainings, there was no shortage of activities that presented and discussed emerging ICT technologies, products, services and new paradigms. 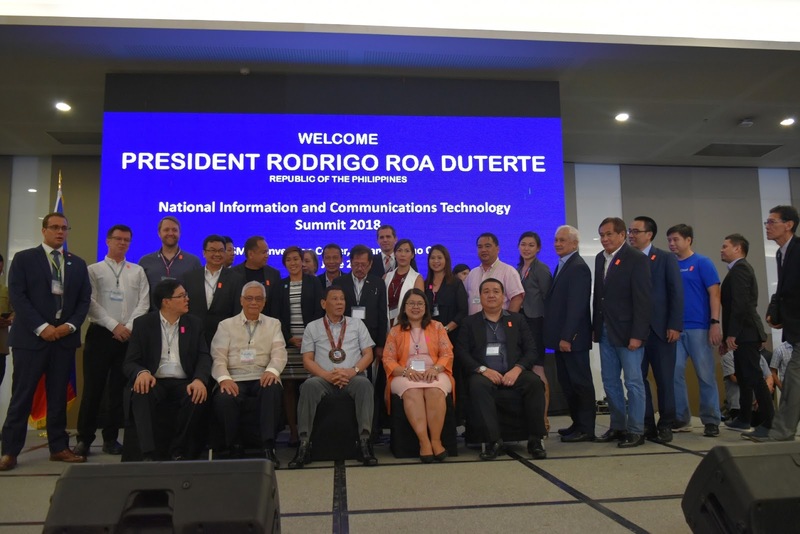 At the summit, the DICT showcased how ICT transforms the way government flagship and mission-critical projects such as the bold "Build, Build, Build" Program and the "Ambisyon Nation 2040" are efficiently implemented, monitored and managed. To empower the Filipino, the government is looking to ICT to improve access to accurate information and develop more efficient services. This is through complementing government ICT plans, programs, policies, guidelines and standards affecting processes and the delivery of information and services to the people. Also present at the National ICT summit was Microsoft, a digital transformation leader who presented global best ICT practices, emerging technology solutions, tools and paradigms that will allow the Philippines to leap-frog development stages. In a keynote presentation, Microsoft Philippines discussed the economic impact of digital transformation, the hidden costs of cybersecurity, the future that is artificial intelligence, as well as the value of ICT in the development of the country. “ICT remains a core component in the transformation and development of the Philippines. As the world moves toward a more digital way of life, so must our country. Technology is the great equalizer, and the key towards reaching our full potential,” said Christian Lim, Country COO - Microsoft Philippines. As the country embraces digital technologies, Microsoft urged attendees to be vigilant and reminded them of the value of cybersecurity -- in terms of economic loss and loss of trust. Similar to the Comelec breach in 2016, breaches can come from anywhere, so it is extremely important the government’s data is secure. Moreover, AI is a technology that is becoming more pervasive and can be a big contributor to the Philippines’ digital transformation. In particular, Microsoft highlighted conversational AI, such as chatbots, and how it is already making waves around the world. In fact, AI is already being utilized to serve local communities in other Asian nations like China and Japan.